The Maze Runner (2014) starring Dylan O'Brien, Kaya Scodelario and Will Poulter is one of the 2014 must-see Sci-Fi movies. This Sci-Fi dystopian action thriller film is adapted from James Dashner's book of the same name. According to Rotten Tomatoes, a review aggregator, The Maze Runner is "better than most, thanks to strong performances and a creepy, mysterious atmosphere". And it grossed $333,835,291 all over the world, well above its budget $34 million. So, if you have missed this movie in cinema or desire for including it, it is wise of you to buy a DVD which was released on December 16, 2014. You may prefer to watch The Maze Runner online or download it for offline playback on portable devices rather than enjoy DVD movie limited to DVD driver/DVD player. However, a powerful DVD ripper enables you to rip DVD The Maze Runner (2014), Maze Runner: The Scorch Trials (2015) and Maze Runner: The Death Cure (2018) as a digital file in MP4, AVI, WMV, MKV, MPEG and more formats for playback on mobile devices, like iPhone X/8, iPad Air 2, Kindle Fire, Samsung Galaxy Note 8, etc. How to Rip DVD The Maze Runner? WinX DVD Ripper Platinum - Rip DVD The Maze Runner 1/2/3 to MP4, MOV, Apple, Android, Sony, Microsoft, etc. In general, newly released DVDs are tightly encrypted in case of illegal reproduction. And The Maze Runner DVD will be no exception. But ripping owned DVD movies for personal use is within the DVD copyright laws in many countries and regions. 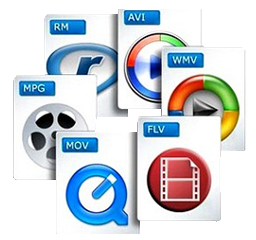 Despite of that, some DVD rippers like Handbrake are unable to rip commercial DVDs to multimedia files due to strong copy protections like DVD CSS, region code, RCE, Sony ArccOS, UOPs and Disney X-project DRM. But the good news is that some professional DVD rippers like WinX DVD Ripper Platinum can cope with all DVD copy protections and easily rip The Maze Runner DVD and other regular or encrypted DVDs to mainstream formats as well as popular devices. 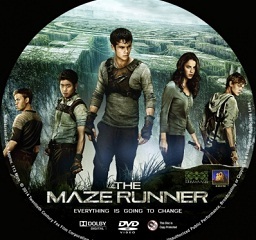 How to Rip DVD The Maze Runner on PC and Mac? WinX DVD Ripper Platinum is available to rip DVD The Maze Runner on Windows XP or later, including Windows 8 and Windows 10. And its Mac version really does a good job in The Maze Runner DVD ripping on Mac OS X 10.5 or above, macOS Mojave 10.14 included. And then download and install a DVD ripper on your computer and insert The Maze Runner DVD into your DVD-ROM to begin. Step 1. Run the DVD ripper and load The Maze Runner DVD. Moments later, it will automatically detect the main title and pop up Output Profile window for you. You have many output options. Rip The Maze Runner DVD to general profiles MP4, AVI, or devices like iPhone 6, copy its main/full title content, or rip to ISO file/DVD folder. It totally depends on you. Step 3. 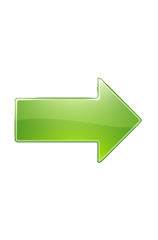 Select a destination folder to store the digital file of The Maze Runner. Step 4. Hit RUN to begin ripping DVD The Maze Runner. Note: The software developer only advocates ripping The Maze Runner DVD for personal use and suggests referring to the DVD copyright laws in your countries in advance. WinX DVD Ripper Platinum - Rip DVD The Maze Runner(2014), Maze Runner: The Scorch Trials (2015) and Maze Runner: The Death Cure (2018) and other copy protected DVDs for PC/Mac/Apple/Android phones & tablets, etc. for playing on the move.